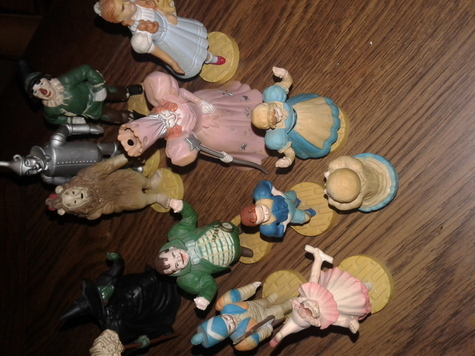 Theses figures are of plastic molding with all the featured characters. 3 1/2 inches high and In like new condition. Also have complete set of resin figures (6) 4 inches high, Larger in size, see 2nd picture. 250. for this set.